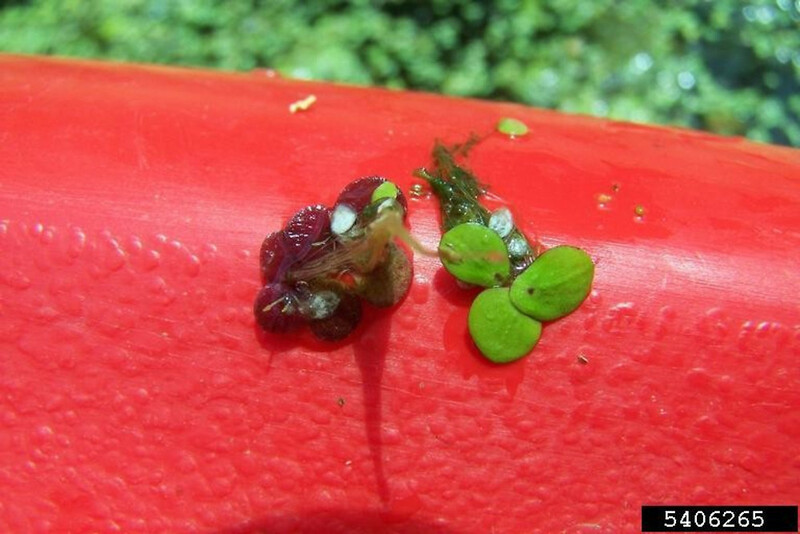 Spotted-duck-meal is a non-native member of the duckweed family that reaches the northern edge of its range in Massachusetts. 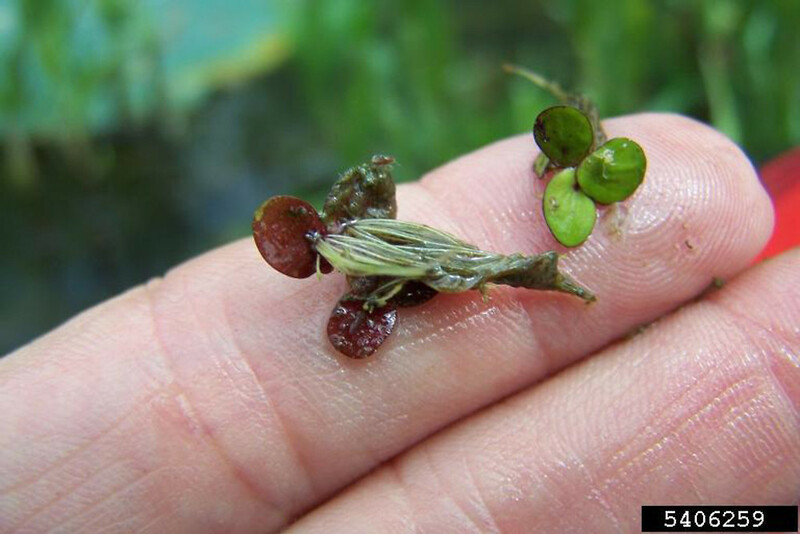 This tiny aquatic plant has "leaves" (thalli) with 5-7 veins, and about 2-7 dangling roots, all of which puncture the tiny scale at the base of the leaves. 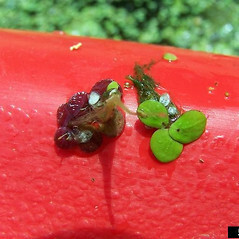 It inhabits high-nutrient waters of lakes and rivers. thalli with mostly 7–16 veins, 1–1.5 times as long as wide, and roots numbering 7–21 per thallus, only 1 or 2 perforating the small, membranous scale at thallus base (vs. L. punctata, with thalli with mostly 5–7 veins, 1.5–2 times as long as wide, and roots numbering mostly 2–7, all perforating the small, membranous scale at thallus base). spotted-duck-meal. 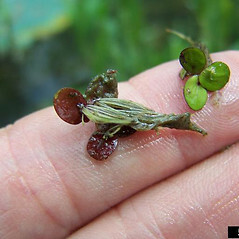 Lemna punctata G.F.W. Mey. 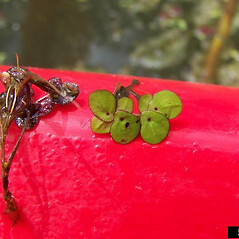 ; Spirodela punctata (G.F.W. Mey.) C.H. Thompson • MA. 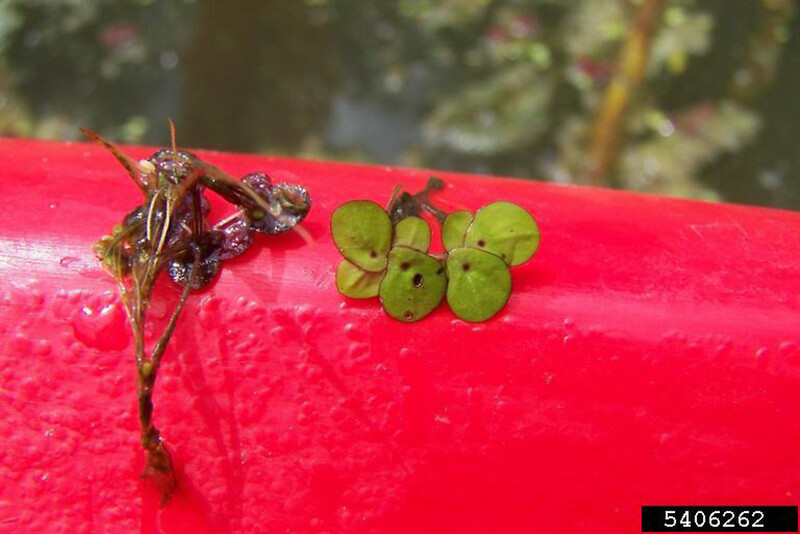 Mesotrophic to eutrophic waters of lakes and rivers.